AVAILBILITY This piece is SOLD. Giclees are available. 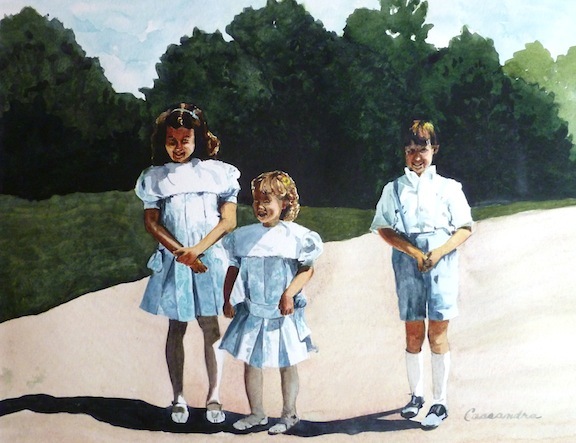 The background and foreground are painted very minimally to draw greater attention to the blue and white clad children whose clothes reflect the color, lightness, and breeziness of the sky. These three were waiting for the car to drive them to their new nephews baptism- they were excited!